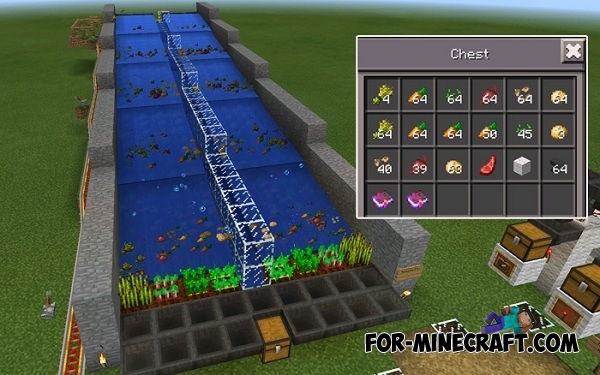 8 Automatic Farms map for those players who like to build different kinds of farm and work with a variety of mechanisms. Map contains eight mechanisms and they are fully automated. To create them, the author used the redstone and pistons that developers recently added. Farm design is very simple. It is not difficult to repeat. Any player can create the same modern and fully automated farm. On this farm you can grow everything: vegetables, fruits, cereals, etc. 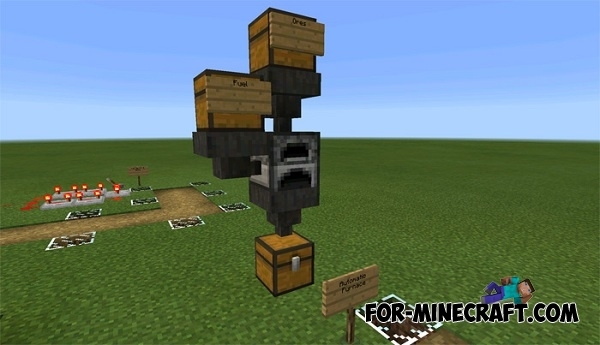 More Pistons Mod for Minecraft PE 0.13.0/0.13.1/0.14.0More Pistons Mod - adds to the game five types of pistons. This conventional pistons, allowing to pull or push various objects.